The Kuna (Guna) tribe are the indigenous people of the San Blas Islands and have a very unique culture and the most incredible wildlife survival skills that visitors have seen. They have managed to keep their roots and culture abreast without fail; which keeps people coming back for more. Their culture is mixture of Panamanian and Colombian that have come together to create some of the most unique clothing, beading and fantastic cuisine choices yet. The perfect place to refer to Guna culture is to go to their most inhabited island, the island of Achuputu. The population of this small island is roughly 1,000 and the other islands population are less than 500. Most of the citizens here speak Dulegaya this language is native to the islands; Spanish is also spoken, but usually used in education/schooling and written government documents. 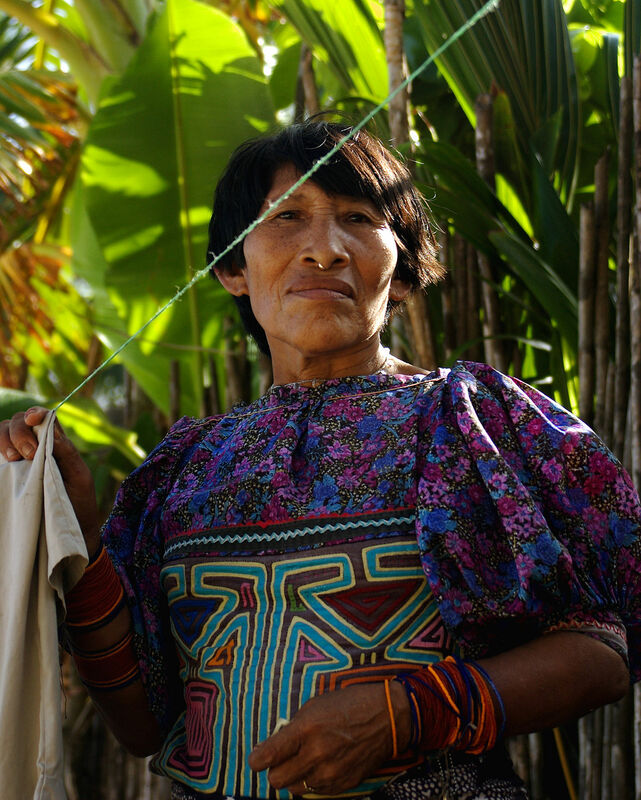 Dulegaya is considered an endangered language even though globally 50,000- 70,000 people speak the native language. One of the eye-catching things that you’ll see here are the beautiful “Mola”. Mola are the bright beautiful textiles made by hand with the techniques of applique and are traditional clothing for Guna. 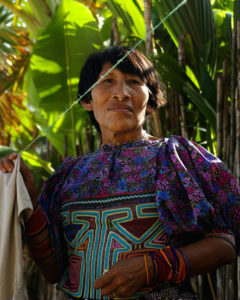 The Guna use mola to make dresses, blouses also known as Tulemola, (or “dulemola”) and other clothing for daily wear. When traveling to San Blas it is important to remember that a lot of places don’t accept credit/debit cards, cash is king. Although cash is accepted money is not at the forefront of the Guna’s minds. A small entry fee of $1.00 – $10.00 could be charged to enter the island, that money goes to local businesses, water, and maintaining the island. The wonderful thing about the culture here is that your hands, willingness and knowledge are your primary source of survival. Enjoy your time on the San Blas Islands and be sure to indulge in every moment!